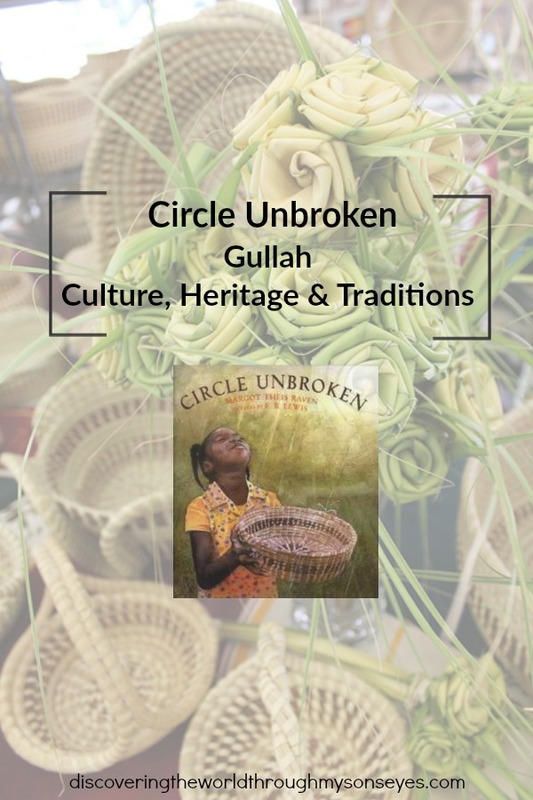 Although I’ve been living in South Carolina for so many years it wasn’t until recently that I found out about the rich history of Gullah culture. This region starts in the coastline of South Carolina all the way through Northern Florida and it is home to an estimated 300,000 Gullah people. What is Gullah you may ask? The Gullah are the descendants of enslaved Africans of various ethnic groups. West Africans were brought to the South Carolina region and enslaved in Southern plantations to work the crops during the hot summer season. They were left in Sea Islands (a chain of tidal and barrier islands on the Atlantic Ocean coast of the Southeastern United States) while the plantation owners moved inland fleeing the heat, humidity and mosquitoes. After the emancipation the Gullah people were left behind without bridges to the mainland and they were able to thrive in their West African culture. Disclosure: This post may contain affiliate links. If you purchase via the link I will receive a small monetary compensation. Thank you. South Carolina has made every effort to preserve the culture, heritage and traditions of the Gullah people. They even have a heritage tour, and hand-made sweetgrass Gullah baskets is an art that continues to thrive. 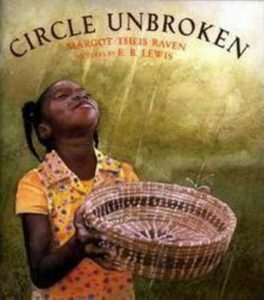 Speaking of sweetgrass Gullah baskets this children’s book Circle Unbroken by author Margot Theis Raven is the story of a family’s basket weaving tradition. A story about a grandmother teaching her granddaughter the art of weaving sweetgrass baskets. The grandmother talks about her ancestors who made sweetgrass baskets in South Africa many years ago, and how her grandfather was sold into slavery and brought his basket weaving skills with him. Once slavery was abolished, the family kept making baskets, and each generation has since learned the art of making these magnificent baskets which tie their family together. In South Carolina the descendants of the slaves continue the tradition of basket weaving. Gullah history and culture is so interesting! I loved the Nickelodeon show Gullah Gullah Island as a kid, too. Will definitely have to check out this book. Hi Janna! Isn’t it fascinating! We’re hoping to make it to one of the tours, and I’ll be sure to write about it. I wonder if I can find that show Gullah Gullah Island I’m going to look for it. Thanks for stopping by. I am so thrilled to see this book on #diversekidlit. The SC community of Gullah people are such a wonderful topic for kids to read about! Thank you so much for sharing!